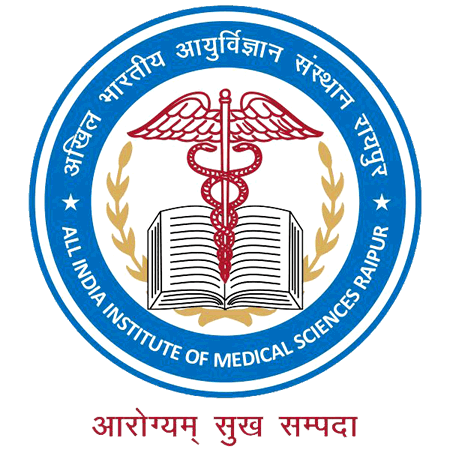 AIIMS Raipur Recruitment 2019 - Below are various recruitment notifications published by AIIMS Raipur / www.aiimsraipur.edu.in. As of now, we don't have any active recruitment notification by AIIMS Raipur featured here. We may update as soon as the organization announces a new job notification. If you are looking for any information related to previously organized recruitment drives by AIIMS Raipur, you can browse through previous job notifications mentioned below and get the new updates or information you are looking for. AIIMS Raipur Recruitment 2019 - Apply Online for 141 Senior Resident Posts in AIIMS Raipur, Chhattisgarh. Online Applications are invited by All India Institute of Medical Sciences Raipur from 18 Jan 2019 11:00 AM to 05 Feb 2019 til 05:00 PM for 141 vacancies. AIIMS Raipur Recruitment 2019 - Job notification for Research Assistant Post on a project entitled “Information technology based joint preoperative assessment, risk stratification and its impact on patient management, perioperative outcome and cost” in AIIMS Raipur, Raipur, Chhattisgarh on Contract Basis. Applications are invited by AIIMS Raipur on or before 12 Apr 2019 for 1 vacancy. AIIMS Raipur Recruitment 2019 - Apply Online for Registrar Post in AIIMS Nagpur, Maharashtra on Direct Recruitment. Online Applications are invited by AIIMS Raipur from 21 Feb 2019 at 11:00 AM to 16 Mar 2019 till 05:00 PM for 1 vacancy. AIIMS Raipur Recruitment 2019 - Apply Online for Registrar Post in AIIMS Mangalagiri, Andhra Pradesh on Direct Recruitment. Online Applications are invited by All India Institute of Medical Sciences Raipur from 21 Feb 2019 11:00 AM to 16 Mar 2019 till 05:00 PM for 1 vacancy. AIIMS Raipur Recruitment 2019 - Apply Online for Junior Resident Posts in AIIMS Raipur, Raipur, Chhattisgarh. Online Applications are invited by AIIMS Raipur from 15 Feb 2019 to 01 Mar 2019 for 3 vacancies. AIIMS Raipur Recruitment 2019 - Walk-in for Research Assistant Post on a project entitled "Efficacy of Brief Tobacco Cessation Intervention on Pattern and Attitudes Towards Tobacco Chewing in Newly Diagnosed Head and Neck Cancer Patients and their Relatives: A Pilot Randomized Controlled Trial from Chhattisgarh" in Department of Psychiatry, AIIMS Raipur, Chhattisgarh on Contract Basis. Candidates are invited by AIIMS Raipur to attend walk-in-interview to be held on 26 Feb 2019 for 1 vacancy. AIIMS Raipur Recruitment 2019 - Job notification for Superintending Engineer & Executive Engineer Posts in AIIMS Raipur, Raipur, Chhattisgarh on Deputation Basis. Applications are invited by AIIMS Raipur on or before 04 Feb 2019 for 3 vacancies. AIIMS Raipur Recruitment 2019 - Job notification for Senior Cath Lab Technician Post in Department of Cardiology, AIIMS Raipur, Chhattisgarh on Contract Basis. Applications are invited by AIIMS Raipur on or before 04 Feb 2019 10:00 AM for 1 vacancy. AIIMS Raipur Recruitment 2018 - Walk-in for 15 Senior Residents Vacancies in Dept of Anaesthesiology in Department of Anaesthesiology, AIIMS Raipur, Raipur, Chhattisgarh on Contract Basis. 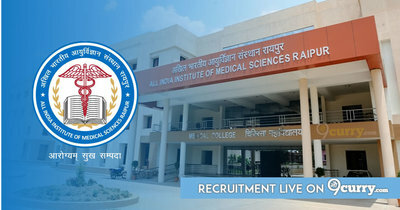 Candidates are invited by AIIMS Raipur to attend walk-in-interview to be held on______ for 15 vacancies. AIIMS Raipur Recruitment 2018 - 50 Junior Residents Vacancy in various departments in AIIMS Raipur, Raipur, Chhattisgarh on Contract Basis. Candidates are invited by AIIMS Raipur to attend walk-in-interview to be held on 10 Jan 2019 for 50 vacancies.